Chick-a-dees has long been the provider for outdoor play clothing for children aged 0-12 years. Our range includes children's overalls, rain overalls, rain pants and rain boots. 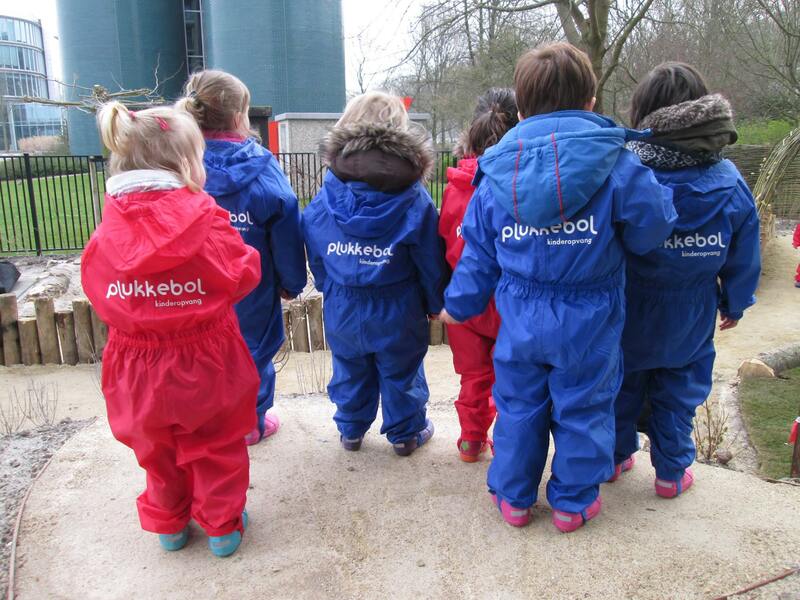 Already many childcare organizations have already experienced our outdoor clothing. 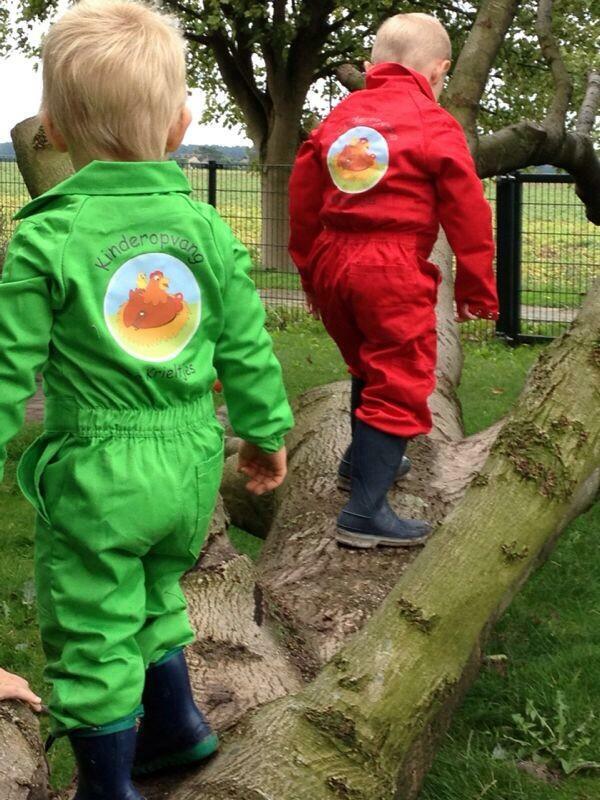 For example, our children's overalls have already been reported in Flevoland, Drenthe and Zeeland. 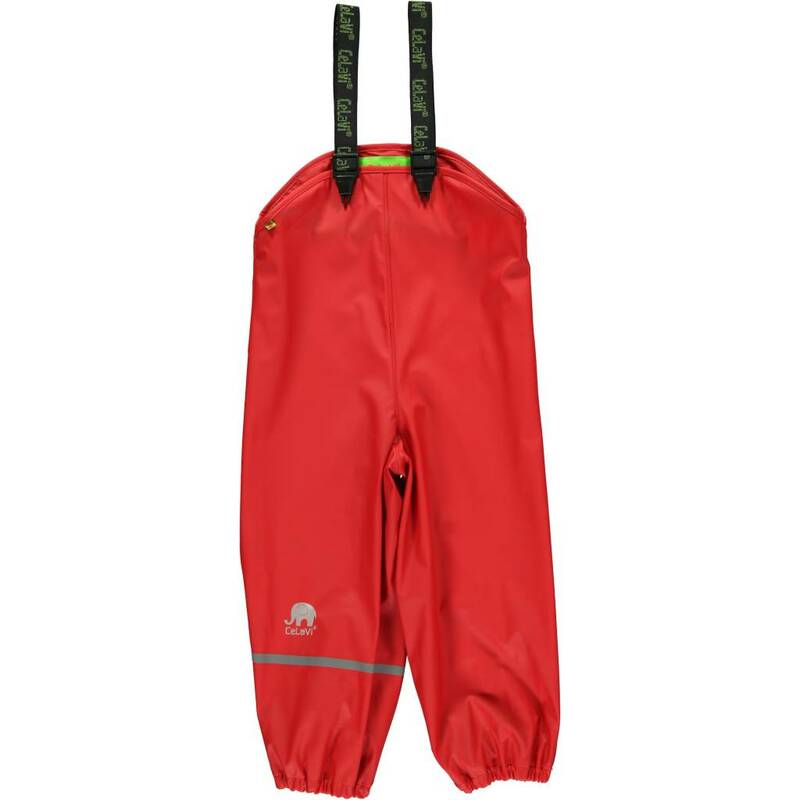 Our rain pants and rain overalls in Friesland, Noord-Brabant and Overijssel. Chick-a-dees has wonderful clothes in which you can play outside and romp to your heart's content. 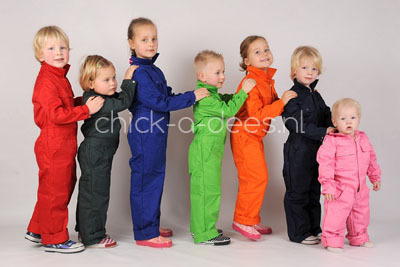 A number of agricultural childcare organizations choose the colored overalls. These can easily be pulled over their own clothing. The older children can take it on themselves and the younger children need a bit of help with putting them on. Fortunately, this has never been a stumbling block. With a little extra attention, this does not have to cost more than putting on a coat. Practice finally makes perfect. The advantage is that the clothes that the children wear are not damaged or dirty when they crawl and play outside. The overall protects the clothing. Our waterproof (rain) overalls are really waterproof and can really take a beating. Standard available in 3 colors: navy, red and corn blue. On request also in dark green. 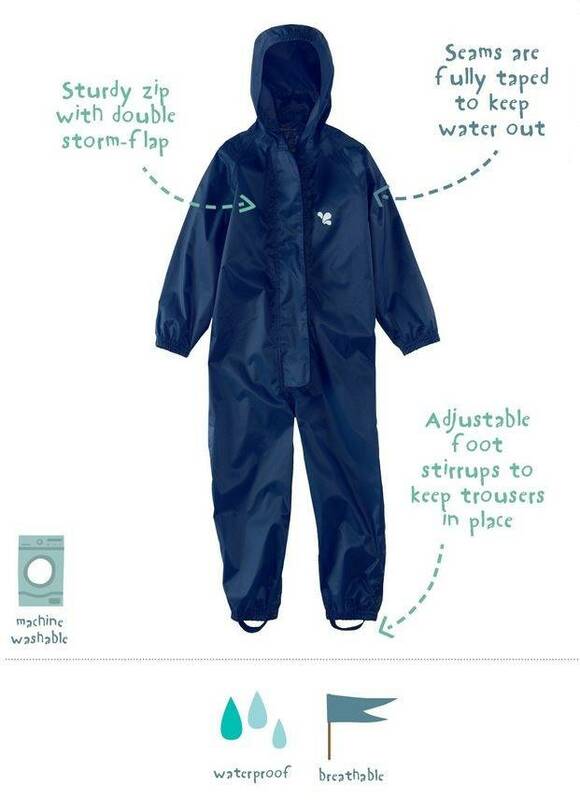 These one-piece rain suits are also for the little ones; from size 80 (12-18 months) to age six years. They are spacious and can definitely take a beating. These packs can also be printed with a logo or text. 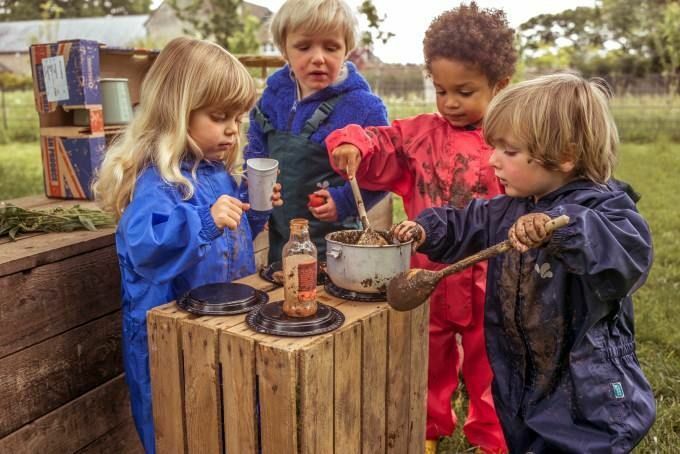 Want to know more about this fantastic brand that has been specially developed for so-called Forest Schools ? Not only for children aged 0-4 but for the BSO age? We wrote a blog about this. Our rain boots, from the Danish brand Celavi , are made of natural rubber and that is why they last longer than PVC boots. The boots are handmade and have a special fit which makes them less 'slippers' than normal hooded boots. Celavi has a lot of colors and sizes of rain boots , we do not have everything on our website. Is there a color you are looking for or a certain size let us know, there is more than just the sizes, colors and numbers in the webshop. The booties of Celavi are available from size 19 to 35. In Scandinavia they know where outdoor clothing should comply. The Danish Celavi produces durable and qualitative rainwear in the most beautiful colors. There are already rain pants available from size 70 t / m 140. The colors of the pants match beautifully with the raincoats of Celavi. Choose the same or a different color to make the nicest combinations. If the color of your gading is not there, please let us know which color you are looking for, we have only included a part in our webshop. Would you like to be kept informed of our (new) collection, tips about and for children, outdoor games and more?